Transform the way you teach. One of the surprises in my first quarter of doctoral studies was a class on online course development. There were numerous takeaways that every nurse educator can learn and grow from. Though the textbook Designing and Teaching Online Courses in Nursing is geared for teaching online, I was impressed by how much this textbook integrated the transformational paradigms from Educating Nurses to practically implement needed transformational change in nursing education. In today’s blog, I would like to share seven highlights from this book and what I learned that could help you strengthen and even transform all that you do in nursing education! Nursing education is in need of radical transformation (Benner, Sutphen, Leonard, & Day, 2010). To implement transformational change, use questions to contextualize essential content to the context of the role that students are being trained for, integrate classroom and clinical learning, and emphasize clinical reasoning and other ways of thinking (Benner et al.) that are required to successfully resolve practice-based problems that can be incorporated into a discussion question. Don’t hesitate to answer a question with a better question to develop your student’s ability to think more like a nurse. When content is taught in a setting that mirrors how students will encounter content in their future role it facilitates retrieval of prior learning by linking it with additional cues (Kennedy, 2017). This was also a key finding of the Carnegie foundation’s research detailed in Educating Nurses: A Call for Radical Transformation. The science of learning is revealing that for content to be retrieved. It needs to have a context to facilitate the application and use of knowledge. Identify the desired learning outcomes for the course and use this to guide the content of the discussion question to ensure that all aspects of the learning outcome are met (Kennedy, 2017). What is the most important objective of your course or even your program? The ultimate objective needs to center around the priority of developing the clinical reasoning of every student, so they can make correct clinical decisions judgment in practice. Let this principle guide everything that you do as a nurse educator. 4. Don’t “cover” the content, uncover it instead! As a new nurse educator, I remember inheriting PowerPoint presentations with dozens of slides. I inadvertently sabotaged student learning by diligently “covering the content!” Benner (1984) identified that inexperienced novice nursing students see everything that is covered in a textbook or lecture as equally important. By helping students uncover content or finding something important that may have been hidden, the educator can help students recall what they already know and identify relevant information to answer the discussion question (Kennedy, 2017). Just like a gold miner sifts through numerous pans of stone to find the nuggets of gold, sift through the thousands of pages of textbook readings and identify the gold need to know nuggets to develop nurse thinking. 5. Identify what content is essential and strive for deep learning of what is most important. Ensure that the emphasis of any question you ask addresses knowledge that is essential for students to learn because it will be put to consistent use in their future role (Kennedy, 2017). If a student has not acquired deep knowledge of what is most important, they will not be able to understand and apply this knowledge to the context that they will practice in. Use a story/scenario that represents a dilemma or problem in practice that contains foreground content that is the problem with relevant information that needs to be identified by the nurse that frames the problem. Background information creates the context by emotionally engaging students with the drama of the human experience that clinical practice represents. Because nursing practice can be messy, the scenario should simulate practice by also being messy by presenting both relevant and irrelevant information that needs to be sorted out by the nurse. Professional context is what type of setting does the problem occur (Kennedy, 2017). 7. Slow down learning with desirable difficulties to develop long-term retention. A desirable difficulty raises the bar of student learning with the discussion question that requires them to utilize higher cognitive functions that include synthesize, analyze, and evaluate clinical data to apply it using prior knowledge and building upon it with the discourse and co-construction of knowledge (Kennedy, 2017). This is why students must not be spoonfed. There is no difficulty, and it is all too easy. Students must be challenged to learn and to grow for knowledge to stick and to be retrieved at the bedside where it matters most. Clinical practice is messy and not need and tidy and orderly like a textbook chapter. There is typically more than one problem taking place at the same time. Prepare your students for practice by utilizing your stories and messy scenarios that you remember as a nurse to put it all together and make it stick! What clinical data in this scenario is relevant ? Why is it clinically significant? Can you see how a messy scenario and asking a simple question that emphasizes clinical reasoning can help raise the bar and strengthen student learning in your program? This is why students must acquire deep learning of what is most important or they will have no idea how to priority set in this scenario that represents what students will experience and be responsible for in clinical practice. or you go can grab a buffet of over 65 case study topics with multiple levels of complexity that will help you rock active learning in my all-inclusive membership site! 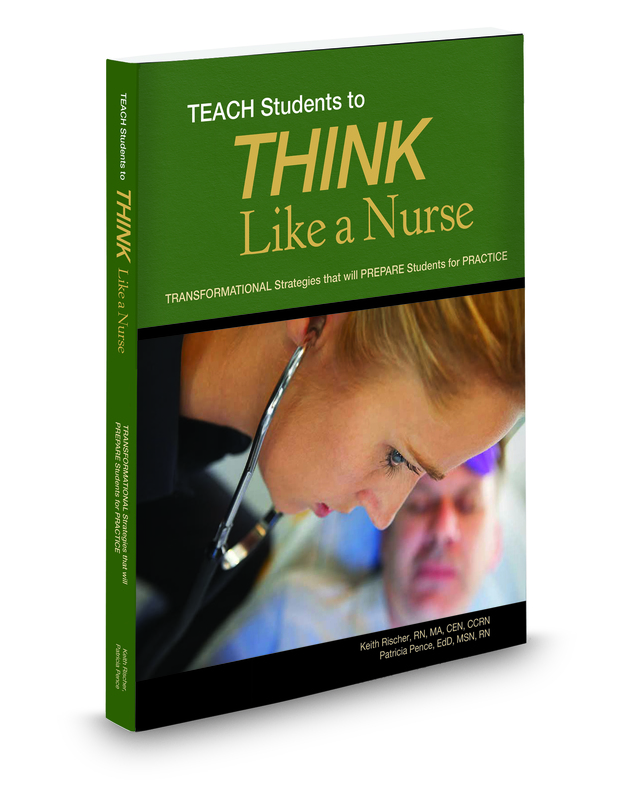 Though the context of asking questions from this online textbook is related to discussion board forums to promote and develop thinking that students require for practice, these principles are relevant throughout all of nursing education. As you review these seven pearls of transformational practice, which one of these were your strengths and what were your weaknesses? Make it a priority to identify those weaknesses so that you can make them a strength by the end of the semester and the rest of the school year. 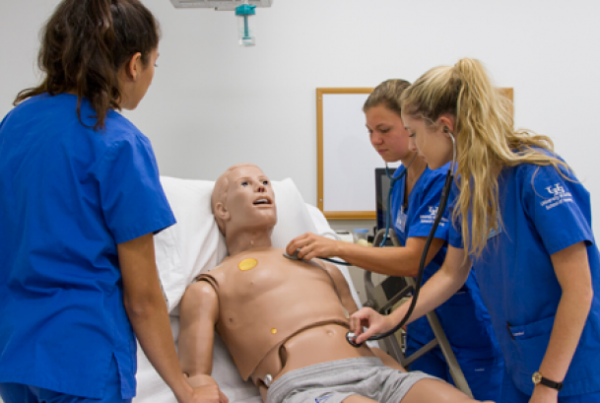 Nursing education remains in need of radical transformation to better prepare students for practice. Take the next step to improve your practice, and you will be part of the needed change that is desperately needed in nursing education! 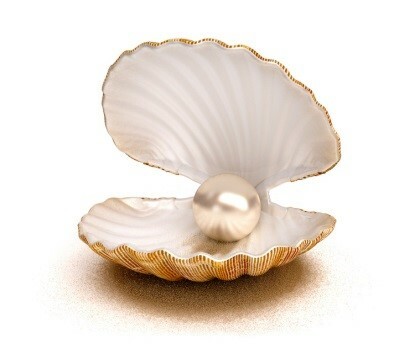 Which one of these “pearls” was your weakness and what do you plan to do to make it a strength? Comment below and let the conversation begin! Benner, P., Sutphen, M., Leonard, V., & Day, L. (2010). Educating nurses: A call for radical transformation. San Francisco, CA: Jossey-Bass. Kennedy, S. (2017). 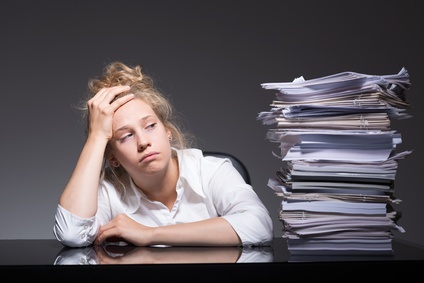 Designing and teaching online courses in nursing. New York, NY: Springer Publishing Company. New Features Just Added to All-Inclusive Membership! I just added a test bank with over 250 well-written NCLEX® style test questions and even concise PowerPoint presentations with more to be added in the future! CLICK HERE to get all-inclusive access to over 200 additional clinical reasoning case studies and tools to help your students think more like a nurse with a subscription to my annual membership site. The first month is only $1! Better yet, get your entire department on board at a dramatic discount. Contact me for a no obligation estimate! 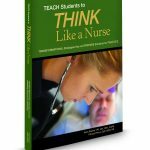 I wrote TEACH Students to THINK Like a Nurse to be a written guide to successfully implement educational best-practice to develop the thinking required for practice and the NCLEX®. CLICK HERE to see how you can get this book free when you subscribe to my all-inclusive membership for nurse educators! Vital signs a nurse needs to know to save a life! Sign up for my blog updates and never miss a post. I’ll send you a link to download several FREE clinical reasoning tools as my way of saying thanks! 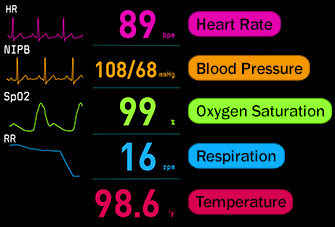 Which Vital Sign is Most Vital to Recognize a Problem and Need to Rescue? Helping the learner to ask the right questions in learning scenarios is the one I struggle the most with. I’m a hospital based critical care educator and many of our new hires have never been challenged to formulate inquiry. This is true for seasoned nurses & new grads that we see in Kansas. Using Socratic Questioning techniques helps but doesn’t seem to stick with about 50% of the nurses I deal with. Thanks for sharing Bobbie and appreciate the response! I have learned that asking the right questions is the most effective strategy to determine what students or new nurses really know and understand. I think that is why it makes some of them uncomfortable but yet is something that nurse educators must never shy away from as long as it is done with caring and respect! I realize I’m coming late to this party, but appreciate my book being highlighted! So glad to hear someone has found relevant take-aways from the book. I think the key to asking questions that will help you, the educator, understand what the student knows and understands are the same questions that will help them focus their thinking in the right direction. I like to think of this type of questioning as “metacognition on external speaker”. If you ask students the questions you would ask yourself when thinking critically or using diagnostic reasoning, fairly soon students will start asking themselves the same questions. Also, if you organize the questions based on Bloom’s taxonomy i.e. asking knowledge level questions before application level, for example, you will be able to “diagnose” where the student’s understanding stops. I think this avoids asking Socratic-style questions that can potentially intimidate students. Students often thinking of faculty questions as an inquisition or a personal challenge, instead of a “we’re in this together to learn” approach. And, I think it is more natural for educators to develop these questions when they are coming from their experience and expertise. Sometimes prefacing questions with a statement like “In order to help me understand your thoughts on this, I have a few questions that I would be asking myself if I was the nurse dealing with the issue”. Thank you, Keith, for including my book in your blog! Thanks so much for taking the time to share your insights as a busy nurse educator and author! Thank you for sharing these practical principles to be more effective with the use of questions in the clinical setting with students! Sign up now to receive the latest updates and offers from KeithRN!